In addition to our Valentine’s Day survey, we followed up with 2000 men and women from the US Toluna community on the topic of Chocolate Desserts. 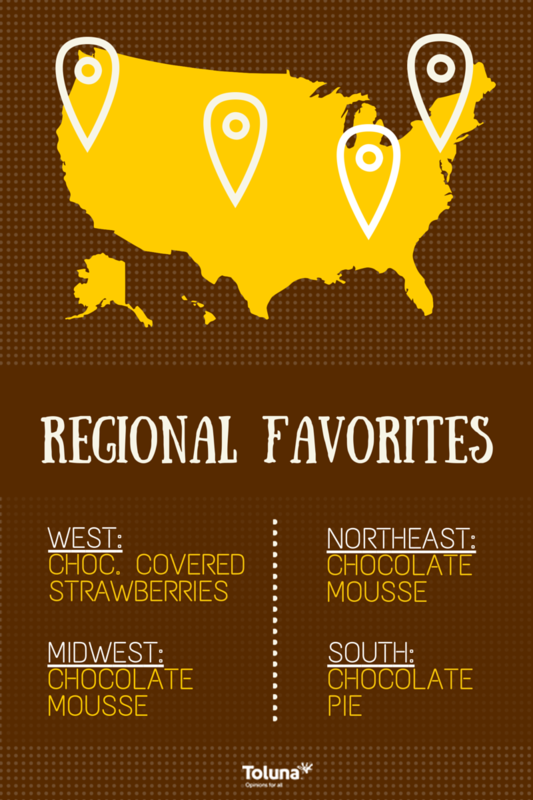 We posed the question: Which of the following chocolate desserts and pastries do you like? Choose all that apply. 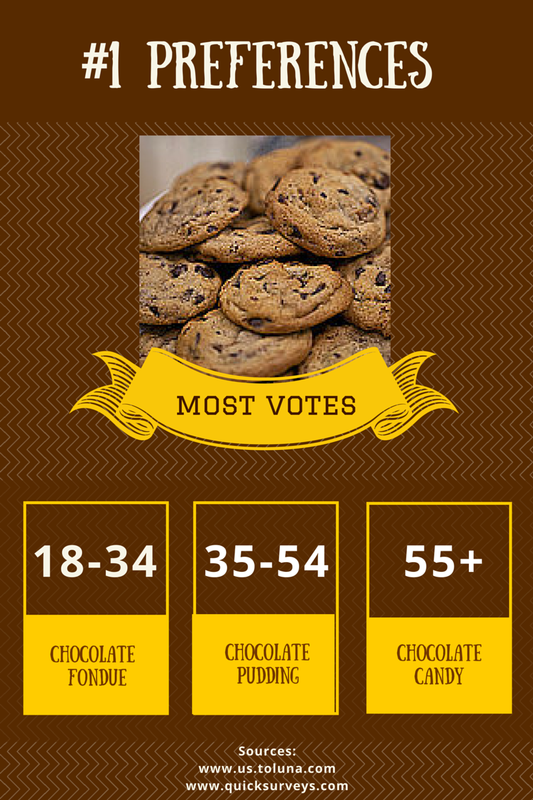 Members chose from chocolate cookies, cake & cupcakes, strawberries, brownies, candy, fondue, ice cream, pie and pudding. Using Toluna Quick Surveys and Toluna Analytics, we were able to compare results on a number of different levels. Below are the results by gender, location, and age.